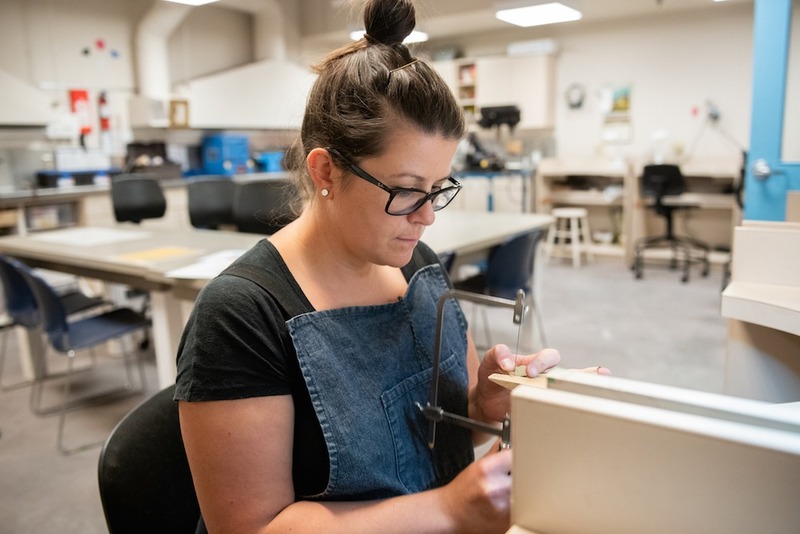 In this workshop, students will learn jewellery and metalsmithing techniques to create a minimum of 2 pairs of statement earrings and/or studs. Students will be shown 3D forming, texturing and movement techniques to design and fabricate unique earrings out of sterling silver wire and sheet. Brass and copper will also be available if students wish to incorporate these metals into their designs. Soldering experience from an intro class or workshop required.